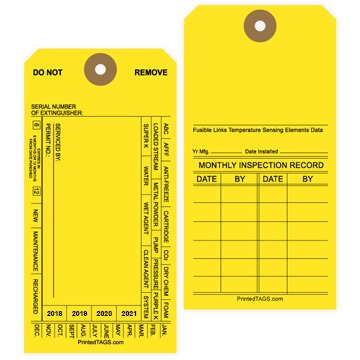 Create awareness with our eye-catching fluorescent red tag. 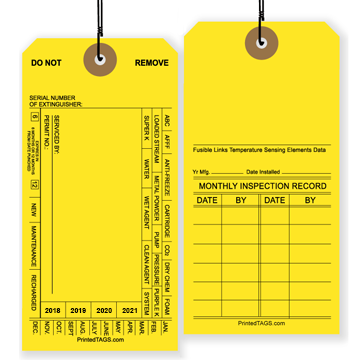 Printed with bold black ink, plenty of room for any notes or special instructions. 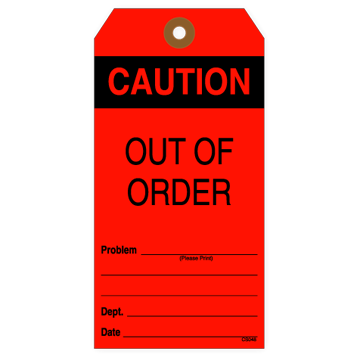 Everyone will quickly take caution with our bright fluorescent red "Out of Order" tags. Whether it's a ladder, scaffold, soda machine or other equipment, make certain everyone is aware that it is not to be used. 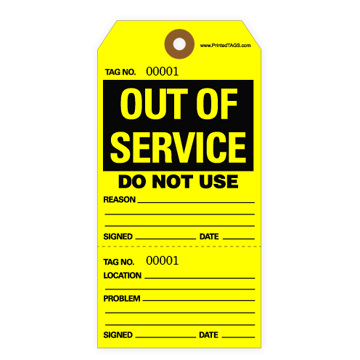 Printed in bold black ink on heavy 13PT fluorescent red tag stock, there is room to note and date the problem and equipment department. The back is blank, leaving plenty of room for any notes or special instructions. Click here to contact us for larger quantities.